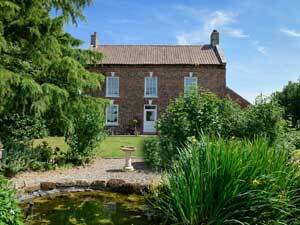 Low Osgoodby Grange is situated 5 miles from Thirsk with easy access to the A1. 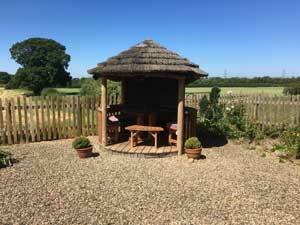 This family run Guest House offers comfortable, good value for money, bed and breakfast accommodation in a beautiful countryside setting. It is a Georgian farmhouse on a working sheep farm making a great central base for visiting three of Yorkshire’s most beautiful areas; the Yorkshire Dales National Park , the North York Moors National Park and the Yorkshire Heritage Coast. 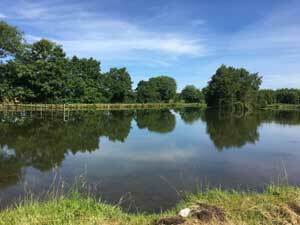 There are plenty of country pursuits on offer with a private fly fishing lake, walks in all directions, pony trekking and deer stalking that can be arranged. It is an excellent base for Thirsk racecourse and visiting local attractions; the James Herriot Museum, Sutton Bank, Dalby Forest, Malton, home to Eden Camp, York and Castle Howard. Ride the North York Moors Railway and return to enjoy cosy pubs and restaurants local to Low Osgoodby Grange. 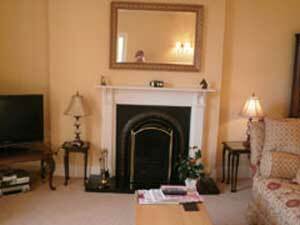 Yorkshire B&B Accommodation: Low Osgoodby Grange offers 3 bedrooms tastefully furnished to a high standard. Choose from a kingsize double, a family room and a double bedroom, all ensuite, stocked with toiletries, fluffy towels and with tea and coffee facilities, mineral water, tv and hairdryers. There is a dining room, in which a substantial breakfast is served, a private lounge and garden with wonderful seating area and views.